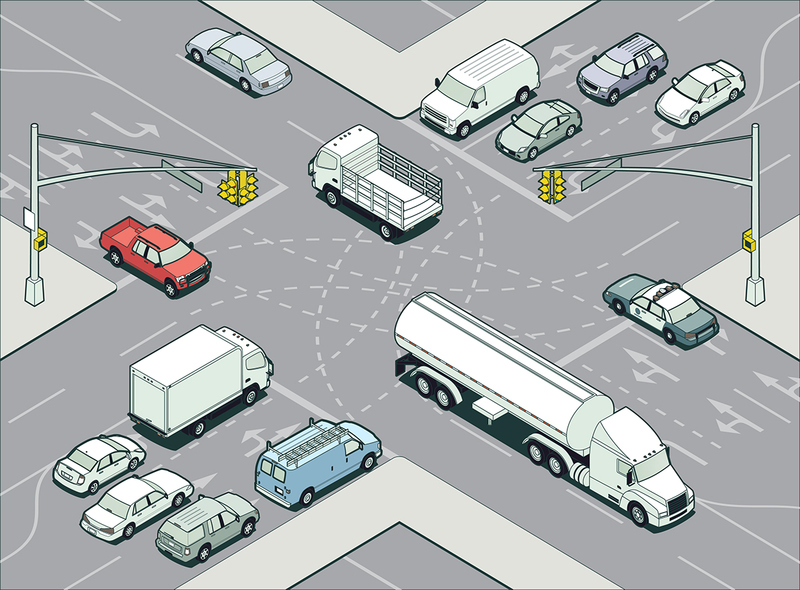 When two or more roads come together at an intersection, there is a much higher possibility of an accident occurring. When that happens, the accident victims are entitled to get compensation from the responsible drivers. According to the National Highway Traffic Safety Administration, about 40 percent of all automobile accidents occur at intersections. Over two million automobile accidents every year happen at intersections. Over 7,000 people are killed each year and 700,000 people are injured in accidents at intersections each year. Many intersection automobile accidents occur because one or more drivers made bad decisions before driving through the intersection. These poor decisions can lead to not only motorists being injured, but also pedestrians, bicyclists, and others who are nearby when the drivers do not obey the law. There are a number of common factors that can cause intersection accidents. First, many drivers speed through intersections or drive through intersections while they are distracted, increasing the odds of an accident. If a driver does a U-turn at an intersection, this can increase the odds of an accident. If an intersection is uncontrolled by either signs or lights, the odds of an accident greatly increase. Finally, when vehicles are turning at an intersection, this increases the odds of an accident. Unfortunately, due to the large numbers of intersection car accidents in Houston, there are also large amounts of property damage and personal injuries. If you have been injured in an accident at an intersection in Houston, you should speak with an attorney. Call the Houston automobile accident attorneys at Kennedy Hodges at 855-947-0707. They can help. You can also learn more about the firm on their LinkedIn page.